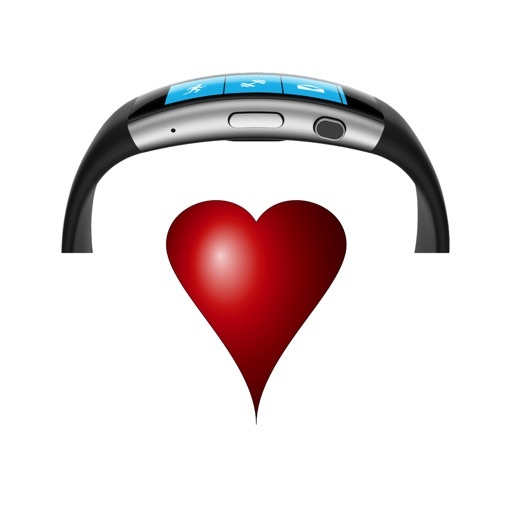 Download Heart Band - target zone monitor for exercise & training w/ finder tool free via AppsHawk. 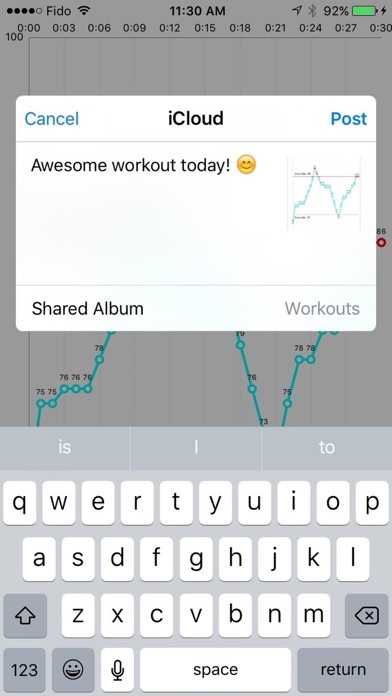 IMPORTANT: This app requires a connected Microsoft Band. Always consult a qualified medical professional before beginning any exercise program. 1. 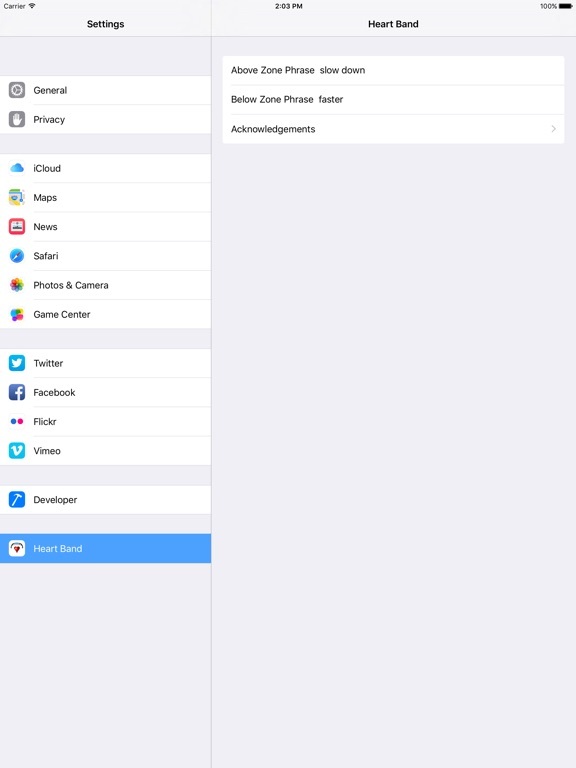 Open the Heart Band app. 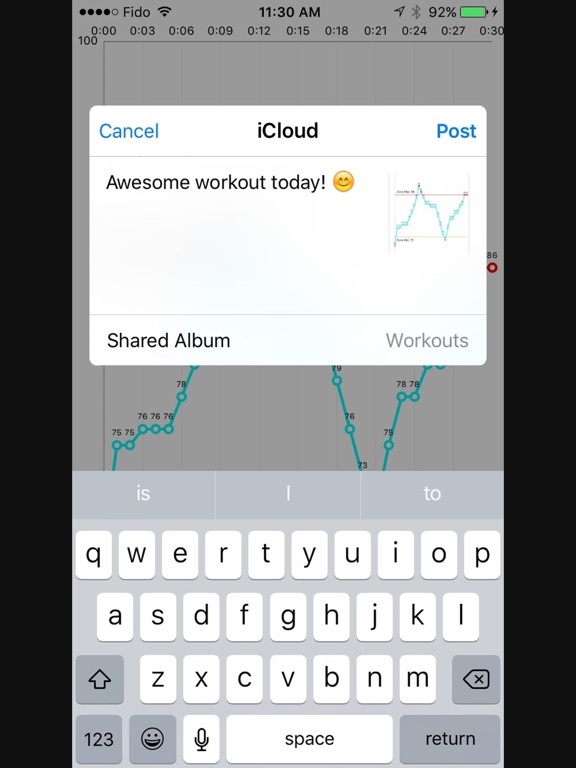 It will automatically try to connect with the Microsoft Band and start tracking your heart rate. 2. Optional: Start the Workout or Run tile in Microsoft Band so your workout is also registered as an activity in the â€œMicrosoft Healthâ€ app. 3. 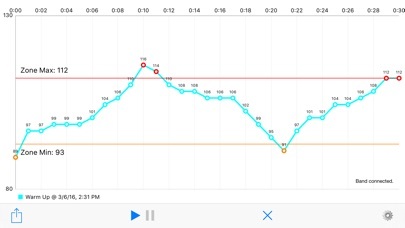 The app will give an alert when you go above the upper zone limit signalling you to slow down or relax a bit. There's also a distinct alert when you go below the lower zone limit signalling you to pump it up or intensify your effort. Note: When the heart rate is not yet locked the data points are pale in color and no alerts are given. 4. You can pause or stop/clear the tracking. If you press stop again the app will completely disconnect from the Microsoft Band. â—† Set the Max HR instead of Age for better precision. 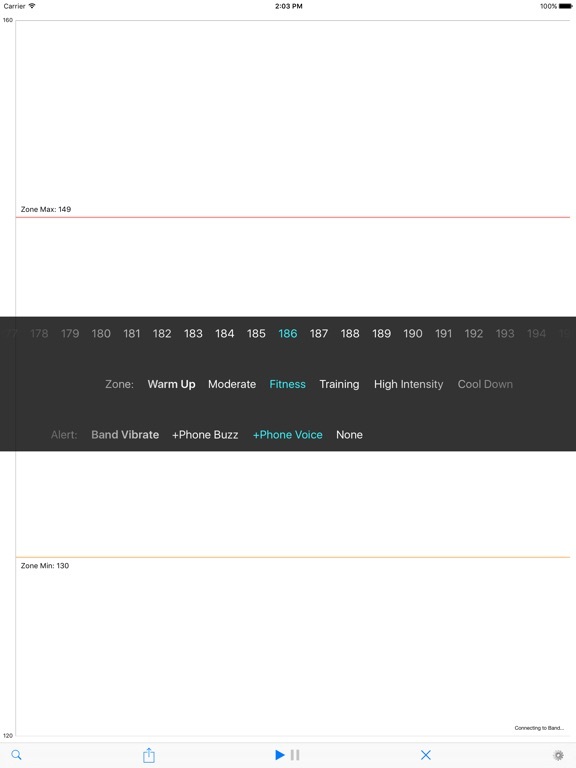 â—† 3 Alerts: Band Vibrate, With Phone Buzz, With Phone Voice. 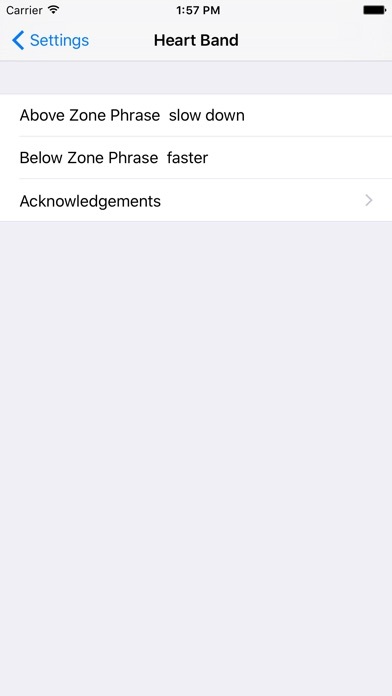 Phrases are configureable in the standard Settings app. 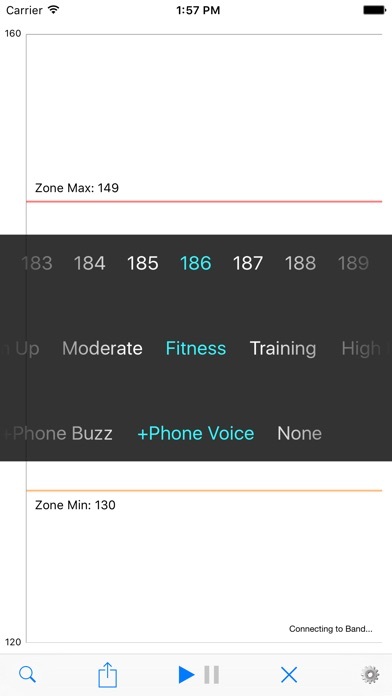 â—† 6 Zones: Warm Up, Moderate, Fitness, Training, High Intensity, and Cool Down. These zones correspond respectively to 50 to 60%, 60 to 70%, 70 to 80%, 80 to 90%, 90 to 100%, and back to 50 to 60% of Max HR. â—† Special zone "Max HR Guard". 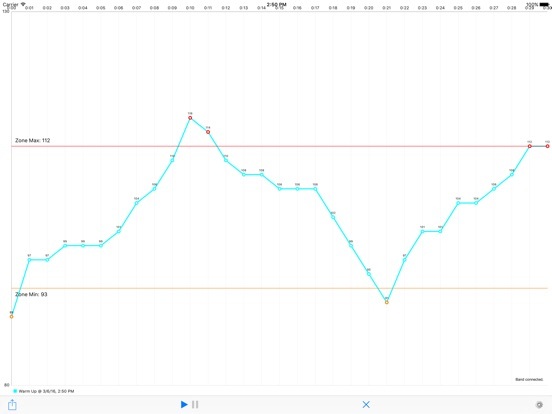 The Max HR is considered as the absolute upper limit and alerts are made when the heart rate is above or equal to it. This is useful for monitoring and forestalling elevated heart rates such as during meditation or other special concerns. You must set Max HR to your desired upper limit heart rate. â—† BONUS: Utility to locate misplaced Microsoft Band. Click the Magnifying Glass button and the Microsoft Band will continuously vibrate as well as turn on the green LEDs to help you alert of its location. Note that this will only work if the Microsoft Band is charged and within connection range. Make your exercise more effective and safer.